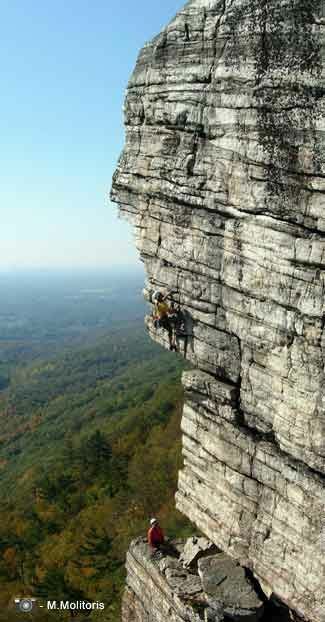 The Shawangunks, or "Gunks", are legendary for rock climbing. Located only 90 miles north of New York City, the Shawangunks are a common day trip for climbers living in the NYC area. They offer over one thousand great climbs from single-pitch to multi-pitch routes at multiple locations. 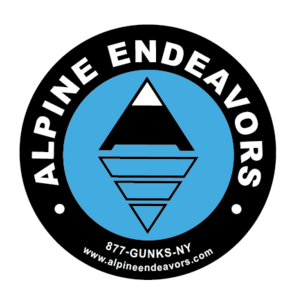 We offer professional instruction and guided rock climbing daily in the Gunks from Mid-March through November at all locations along the ridge. The Mohonk Preserve - The Mohonk Preserve was established in 1963 and became the first land trust established to protect the Shawangunk Ridge. It is one of the oldest land conservation organizations in the Hudson Valley region and encompasses over 6,500 acres in the Shawangunk Mountains. In addition to the incredible cliffs, it also includes forests, fields, ponds, streams, and over 70 miles of trails and carriage roads for hiking, running, biking, cross-country skiing, and snowshoeing. The climbing areas you can visit with us on the Mohonk Preserve consist of the Trapps, the Near Trapps, Millbrook, the Lost City and Bonticou Crag. Minnewaska State Park - Minnewaska is the only state park preserve in New York that offer rock climbing. In addition to rock climbing, it offers over 35 miles of carriageways and 25 miles of trails for hiking, biking, snowshoeing and cross-country skiing. While the park has many miles of rock, they currently allow rock climbing only at their Peterskill climbing area. The Peterskill area provides over 100 single pitch routes for all ability levels. Sky Top - Sky Top is a private cliff owned by Mohonk Mountain House. Mohonk is one of the oldest family-owned resorts in the US. It is a Victorian castle built in 1869 over one of the five "sky lakes" in the area, Mohonk Lake. Mohonk provides lodging, great meals and many activities on thousands of acres of forests, trails and carriage roads including hiking, biking, snowshoeing, ice skating, golf, and since 2007 - rock climbing. Rock climbing at Sky Top is available for Mohonk's overnight guests or Meal Guests who are accompanied by a guide from Alpine Endeavors, also as of August 2013 day guests of Alpine Endeavors are able to visit and climb. For more information on climbing at Sky Top, please visit the web page, Mohonk Mountain Guides or call them at 845-256-2752. .